VZones > Articles > Billing Questions > How do I downgrade my subscription? ArticlesHome Articles How do I downgrade my subscription? Then from that page click cancel next to the subscription. 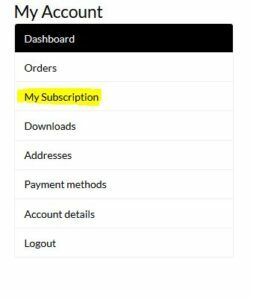 Then signup for the new subscription you would like. Once downgraded from VIP status the following will happen. Rents will be reset and a new date from your first billing date will show. You’ll then need to pay rent on each turf monthly. Access will be changed so you cannot enter the VIP areas. Any avatars which have VIP bodies or heads will be removed. Any townhouse ownership will be disabled and the house will show as available. The insides will be cleared out and returned to new. We recomend removing all items from the house before you downgrade. previous post: How can I remove an avatar from my lease? next post: When do I get my monthly 10 vouchers?